Funeral of Frances Shand Kydd. Earl Spencer and wife Caroline arrive for the funeral of Princess Diana's mother Frances Shand Kydd at the Cathedral of Saint Columba on June 10, 2004 in Oban, Argyll & Bute, Scotland.. Wallpaper and background images in the Princess Diana club tagged: princess of wales. 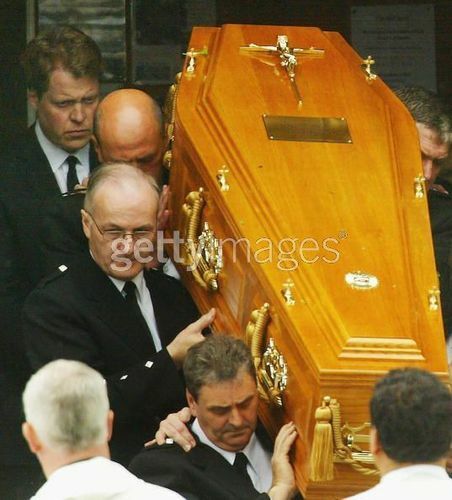 Earl Spencer and wife Caroline arrive for the funeral of Princess Diana's mother Frances Shand Kydd at the Cathedral of Saint Columba on June 10, 2004 in Oban, Argyll & Bute, Scotland.